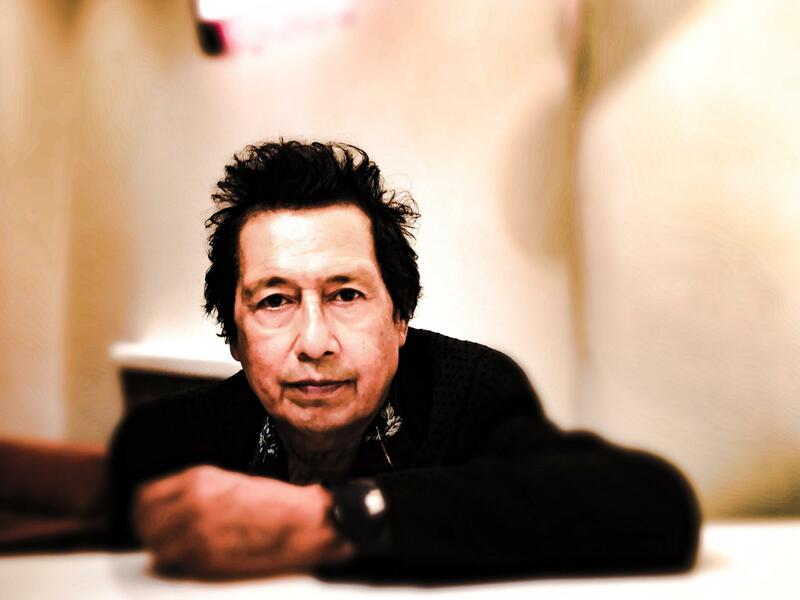 Alejandro Escovedo's new album is The Crossing. Escovedo's move to Austin in the 1980's led to the so-called cow punk band Rank And File and eventually to the raw energy of The True Believers. But Escovedo proved to have a musical vision not easily confined by amps turned up to 11. After string quartets, an album based on his father's journey from Mexcio to the U.S., solo guitar songwriting and a long residency as the musical conscious and home town hero of Austin, he has collected a dedicated following of fans (actual true believers) who never know what to expect but always embrace his powerful shows, over 15 solo albums and various all star gatherings. So when I read that he partially recorded his latest album, The Crossing, in Italy with an Italian rock band, I said, "Of course he did." The Crossing is possibly his finest recorded work yet. It is a sweeping chronicle of two young men who come to the U.S. looking for America in the sounds of rock and roll. One is from Italy, the other from Mexico, they start their teenage adventure in Texas. Along the way, they discover things about themselves and about this country that slightly change their perceptions and understandings of things. That is the story in a nutshell, but the beauty of Alejandro Escovedo's art is in the literate storytelling that is implicitly wedded to a sonic tapestry that stuns. There is a moment of grace that opens the album, an orchestrated meditation that leads into tales of cowboys with holes in their luck, boys who lose their innocence and references to beat philosopher Jack Kerouac and Mexican philosopher Octavio Paz — all in the same song! There is a lot of Escovedo's own story in the songs. On the show, he talks about the slights he faced as a young Chicano pursuing his on rock and roll dream — things like being mistaken for the help and accosted by snarling law enforcement in the rural South. The vindication is in this new collection of songs performed with a band of like-minded Italian rockers he connected with on a recent European tour. The band's cinematic approach to music is perfectly suited for Escovedo's vision and The Crossing dips with emotional highs and contemplative lows, just like the best late-night conversations over tea or single malts.